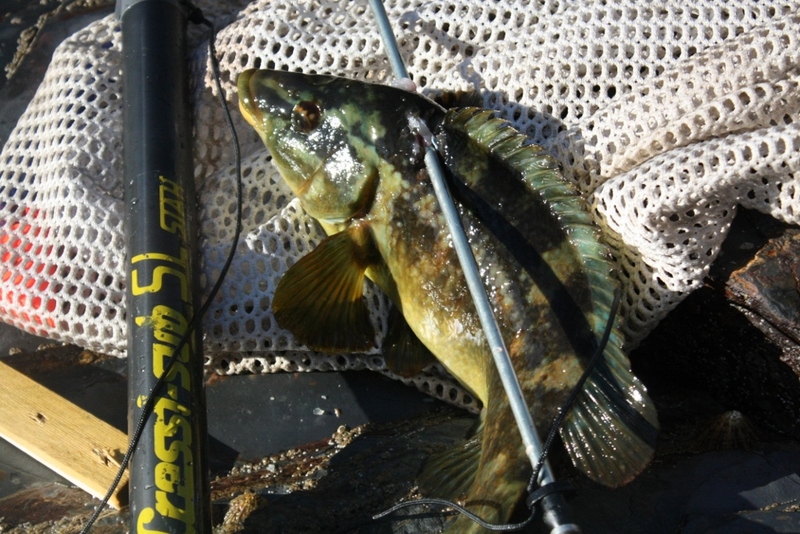 While spear fishing in Cornwall a few weeks ago I managed to bag myself a very large rainbow wrasse. Wrasse are not a fish you will find on your fishmonger’s slab as they are rarely found in open water. Instead they spend their time gnawing on barnacles and mussels on rocks and cliffs close to shore. This means that trawlers and day boats cannot catch them. The teeth of wrasse are incredibly hard and strong and you can often hear a rasping sound as they gnaw at their food when you’re diving or snorkelling near to where they are feeding on the rocks. Here’s a fantastic recipe for rainbow wrasse with spring onions, cream and white wine sauce. This recipe will also work wonderfully with sea bass, if, unlike me, you don’t happen to have a spear gun and be next to the Cornish Coast! Descale and fillet your fish. Melt a large knob of butter in a hot frying pan. When the butter starts to bubble, place the fish, skin-side down on the pan for around 5 minutes until the skin has turned crispy. Throw in the chopped spring onions, white wine, and turn the fish over so it’s flesh-side down. Cook for 2 minutes and add the cream. Simmer for 1 more minute, until the cream thickens. Serve on a plate and drizzle the remainder of the sauce over the fish. Season with salt and cracked black pepper.